Bar 143 is a unique retreat into an imaginatively designed, first class venue for a lazy afternoon or a fabulous night out. A haven for the over 25’s to enjoy a chilled out evening against a nu-jazz background. 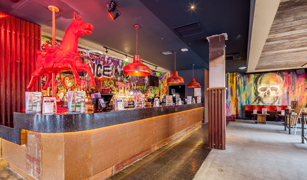 A buzzing town-centre bar with a real passion for its customers and entertainment on offer. 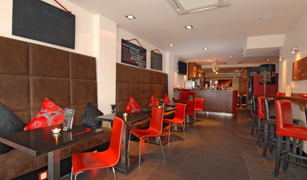 Located in the heart of Watford, Faborjé bar and grill provides the very finest foods, drinks and entertainment. Rileys specialise in pool, snooker, darts, table tennis & big screen live sport. A truly unique venue, blurring the lines between bar and club. A quirky bar situated in the heart of Watford's high street, offering, mouth tingling cocktails, plenty of prosecco & some quite terrific craft beers. 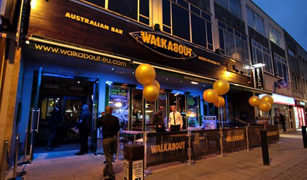 Australian chain bar with a straightforward menu, themed party nights and live big-screen TV sport. Molloy's has something for everyone, whether you want a hearty meal or a light lunch, a great place to watch SKY Sports, somewhere to rock the night away to a live band, a great place to meet friends or a quiet drink in. Watford’s VIP nightspot with two floors of music. 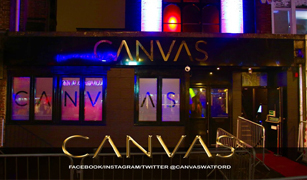 Watford's biggest independent nightclub with 3 rooms, 20 VIP booths and massive live DJ's and acts every weekend. PRYZM is the largest nightclub in Watford. The venue hosts events featuring the biggest DJs and acts on the scene with a wide range of VIP booths. Head to Reflex in Watford to enjoy the soundtrack of the 80s, 90's and 00's. Serving delicious food with a selection of delightful cocktails, and have screens showing all the big matches, Colombia Press is place for all. Traditional pub and live music venue in Watford. Busy unpretentious Wetherspoon watering hole offering real ales, pub grub, TV screens and free WiFi. Watford's Oldest Pub, providing a range of beverages, traditional and modern pub grub and live music.